Evaluation will assess the impact and reveal the capabilities of FACTS4WORKERS towards the promotion of a clear human-centric approach, usability, user experience and technology acceptance, while enhancing workplace attractiveness. 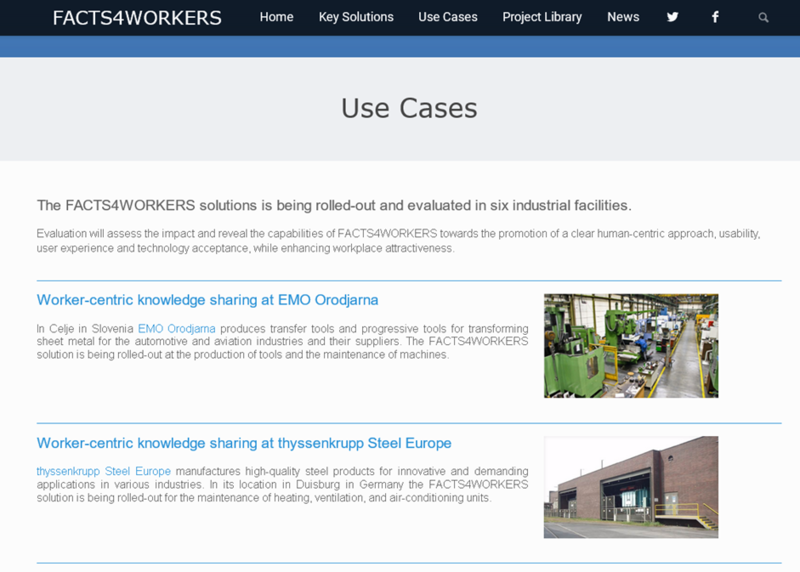 On our Pilot Sites we provide a short description of each use case and list the fields of application, the functionalities, the benefits and the impacts of our FACTS4WORKERS solution at every industrial partner. The results of our project will also be published soon at German language i40cases website.